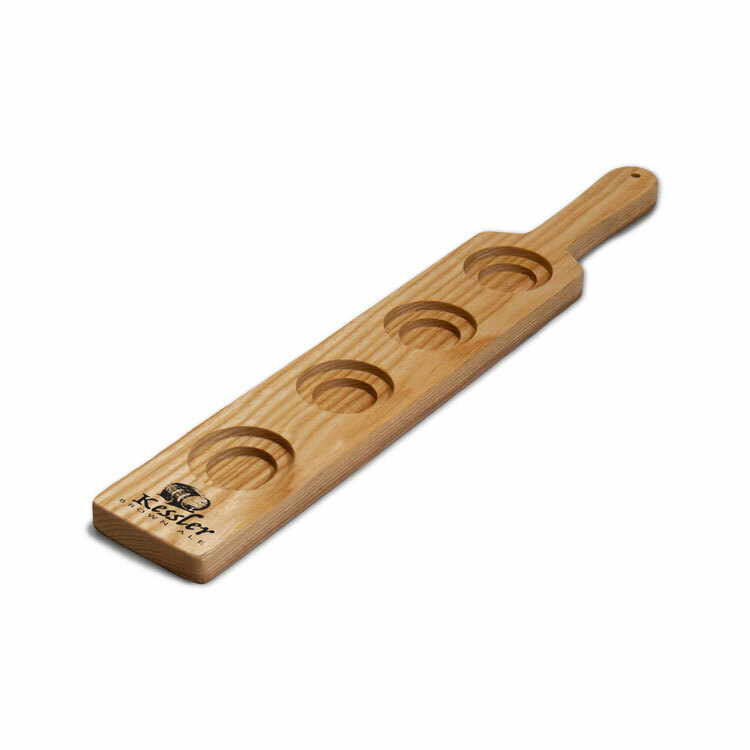 Your brand hops into your next promotional giveaway event with this great sampler paddle! 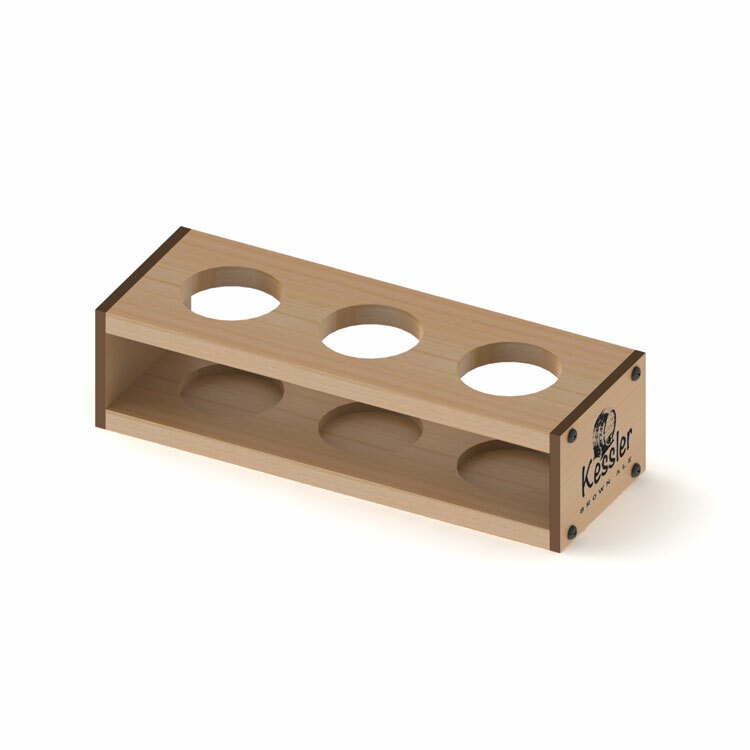 Featuring tiered pockets with two different sizes and depths, this paddle can fit twice your glassware needs. 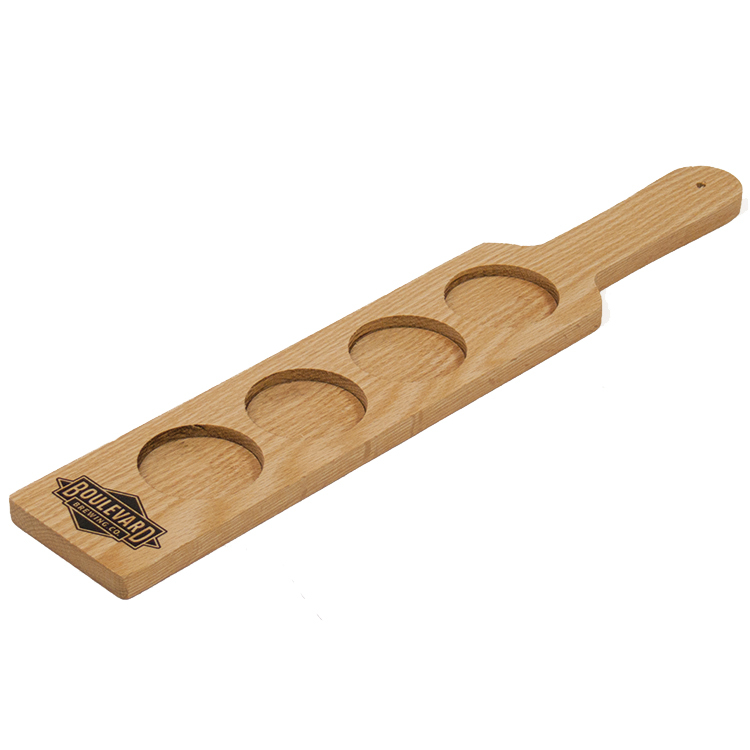 Ideal for restaurants, pubs, promotional events and tastings, this beverage sampler paddle holds three pockets and is made from solid oak for high durability. Finished with a protective, clear coat, enjoy pockets with a 1.75"-2.5" diameter as custom shapes, holes and size configurations are also available. Imprint your company name or logo using our crisp, high-definition imprinting process for added brand exposure. 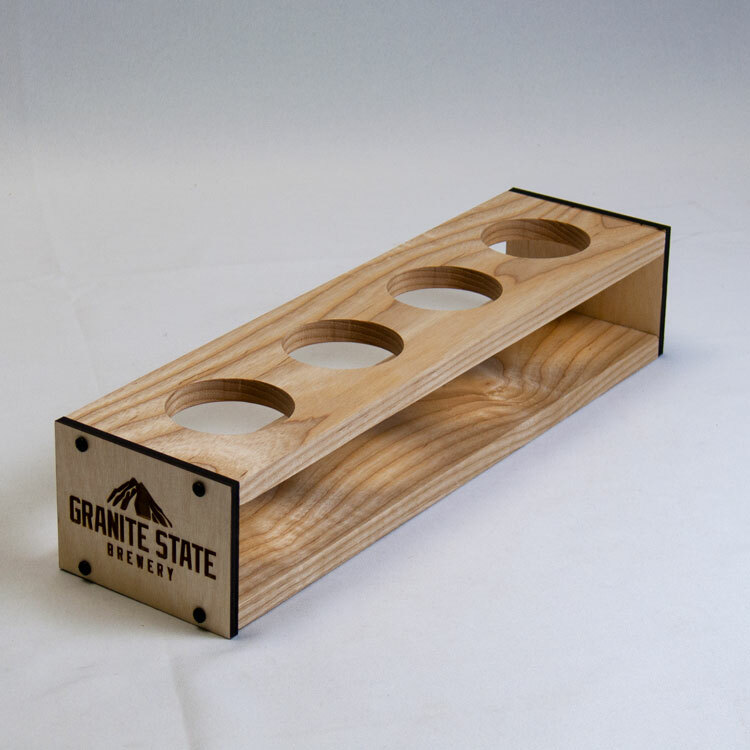 The clear message of your brand remains prevalent with this sampler paddle! Note: Glasses are not included. 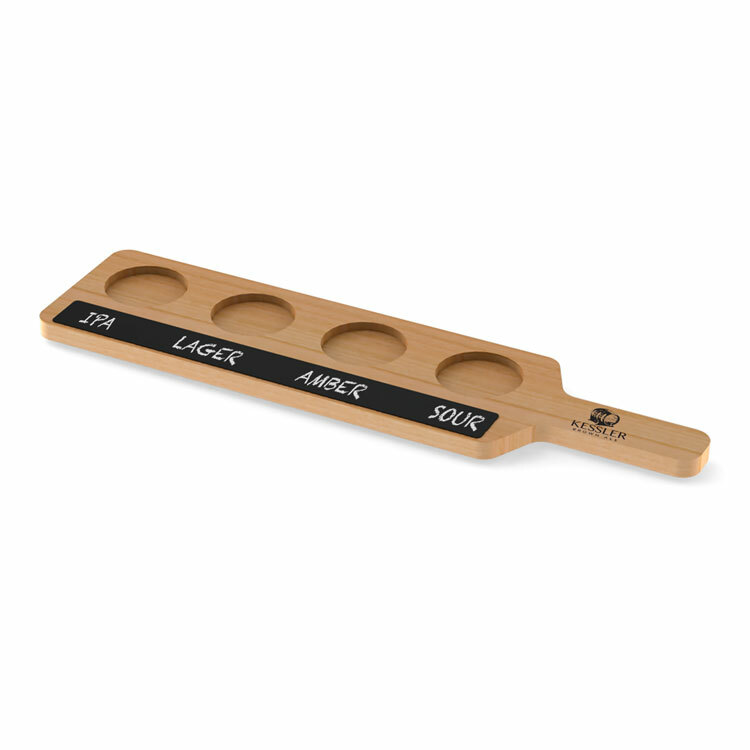 This barrel stave sampler flight is a unique option to display craft beers, specialty desserts, appetizers, and more! Customize your sampler with imprinting or laser engraving. Call today for details! Note: We cannot guarantee liquid chalk will work with this unit. 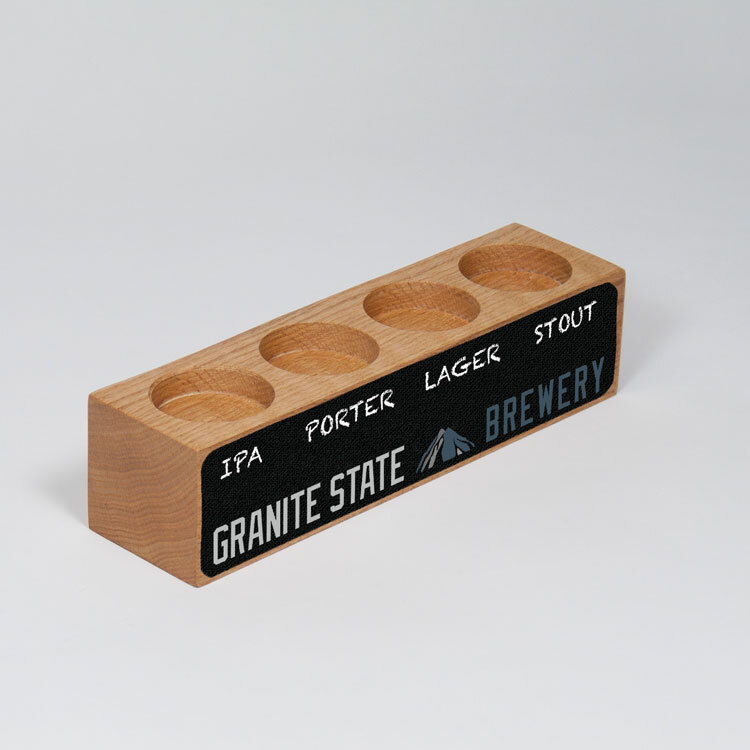 Our Sampler Block Beer Flight is made from solid oak for high durability in the work place – ideal for restaurants, pubs, promotional events and tastings. Order them blank or add your own custom logo or artwork to further advertise your brand! Customization is endless! • 4 pockets with 1.75" - 2.5" diameters. • Standard finish is a protective clear coat – other finishes available • Crisp, high definition direct imprinting available Note: Glasses are not included. 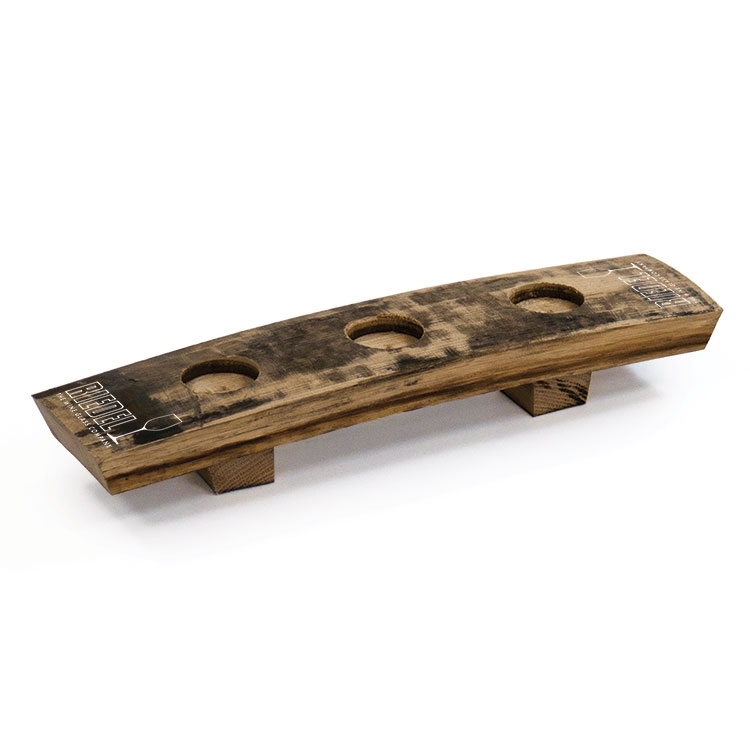 Our Sampler Paddle Beer Flight is made from solid oak for high durability in the work place – ideal for restaurants, pubs, promotional events and tastings. Order them blank or add your own custom logo or artwork to further advertise your brand! Customization is endless! • 5 inserts with 1.75" - 2.5" diameter • Standard finish is a protective clear coat – other finishes available • Custom shapes, sizes, finishes and holes configurations available • Crisp, high definition imprinting available Note: Glasses are not included. Looking for a unique and stylish center piece or corporate gift? 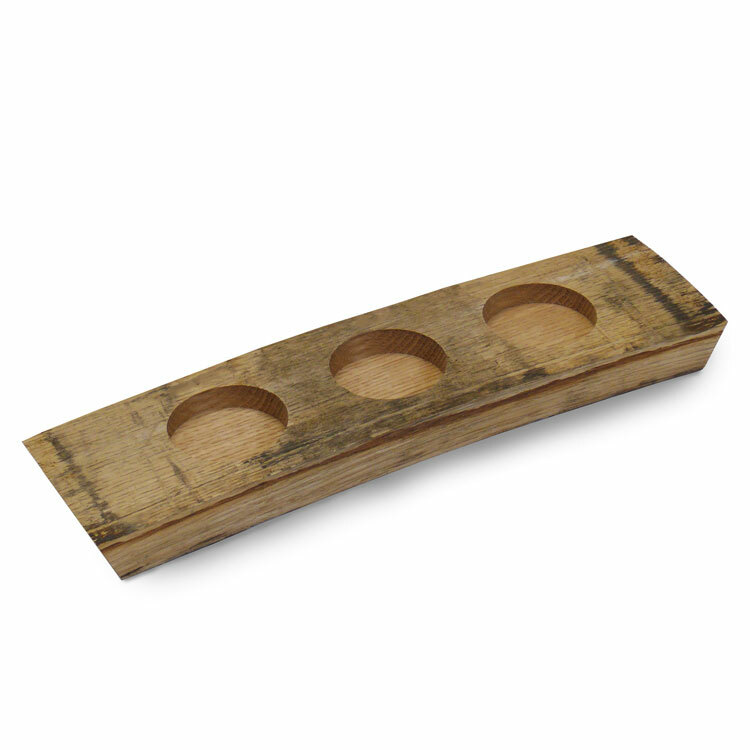 This Stave Tea Light Display is constructed of recycled staves from real wine barrels! This unit can be a merchandise riser for any product! 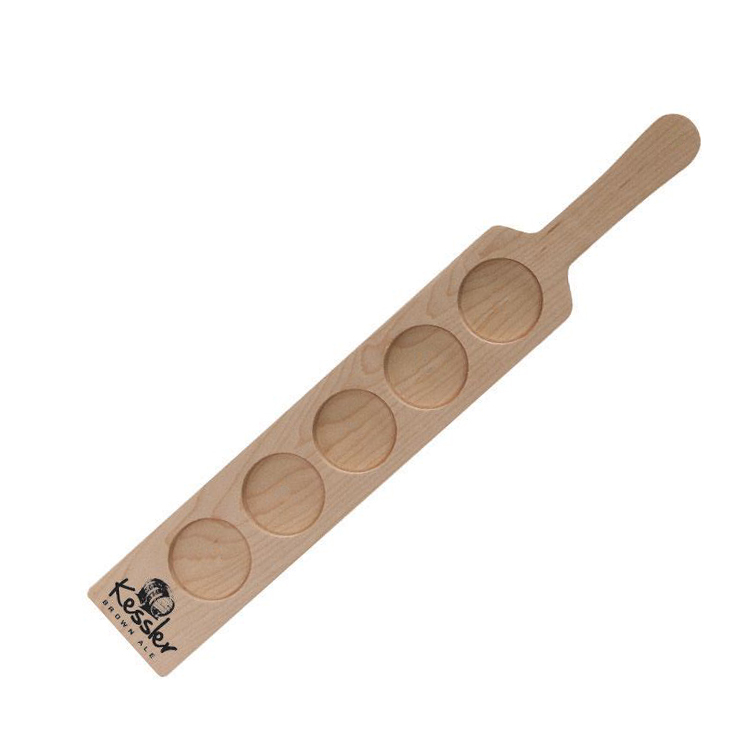 Or even a sampler paddle for desserts, shots, and more! Due to variations in wood grain and stave sizes, every unit will be unique! The stave is stained from the wine it used to contain. Customize your unit with imprinting or laser engraving - Call today for details! 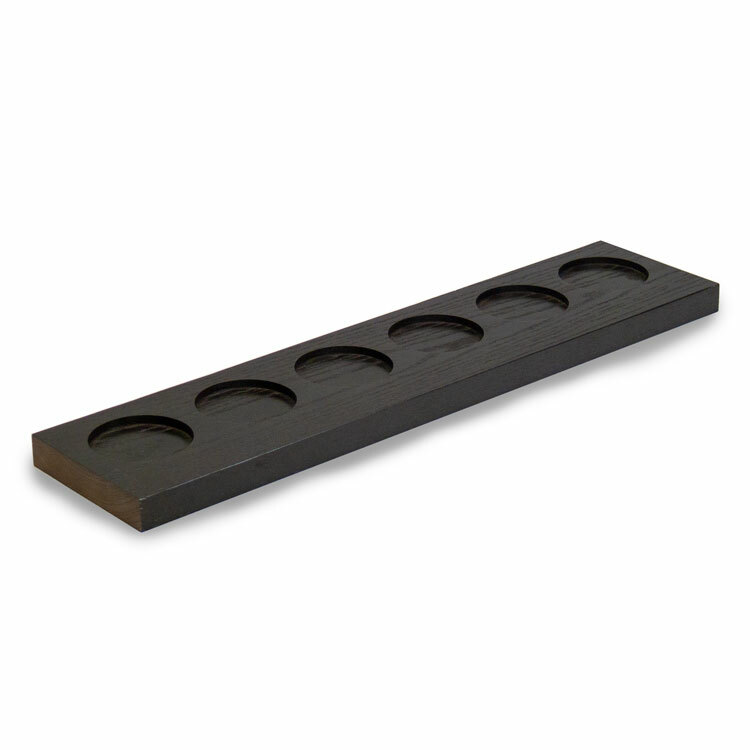 Display and serve your samples in this Handled Sampler Tray. 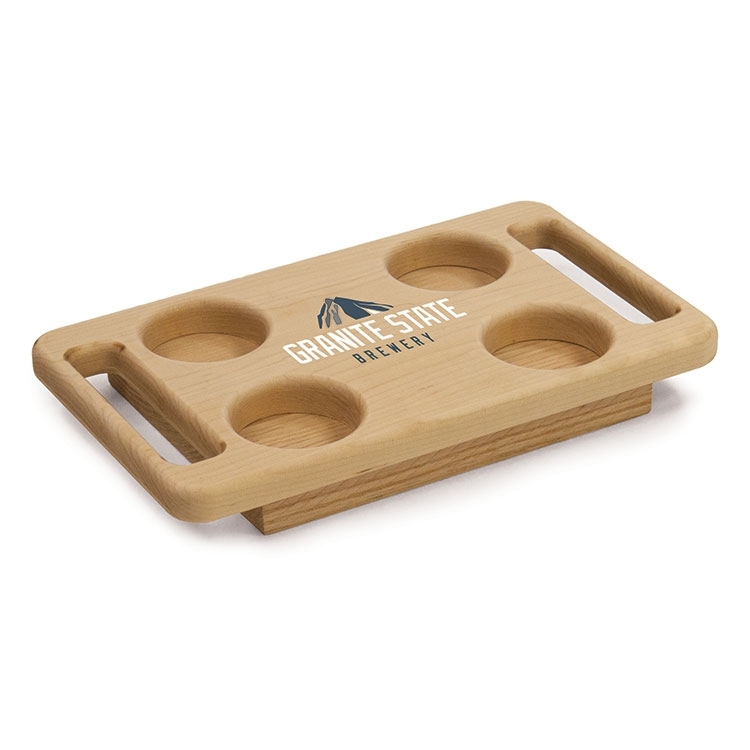 Perfect for dips, craft beers, specialty desserts, and more! Constructed with hardwood maple. 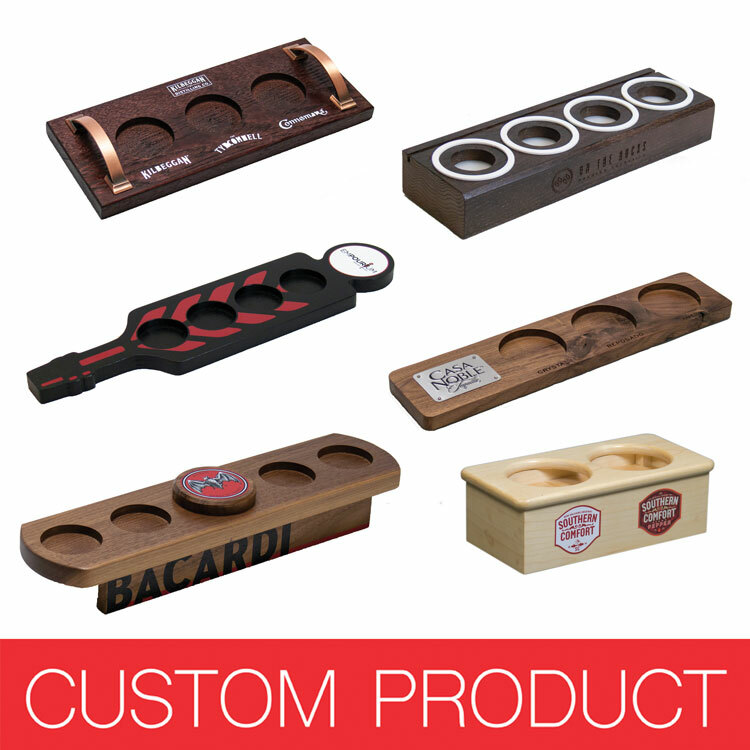 Customize with an imprint or laser engraving - Call for details! Slot Diameter:2.25" Handle Dimensions:4.75" x 1.0" Due to variations in wood grain, every unit will be unique! 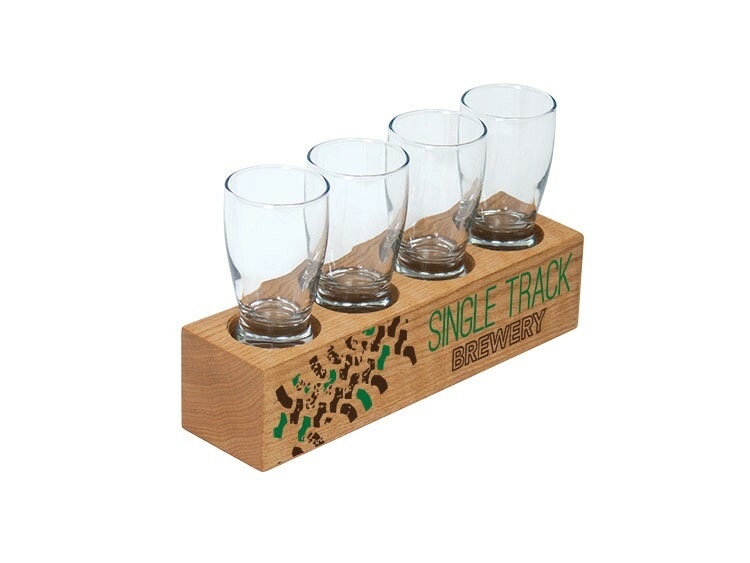 • Ideal for restaurants, pubs, promotional events and tastings. 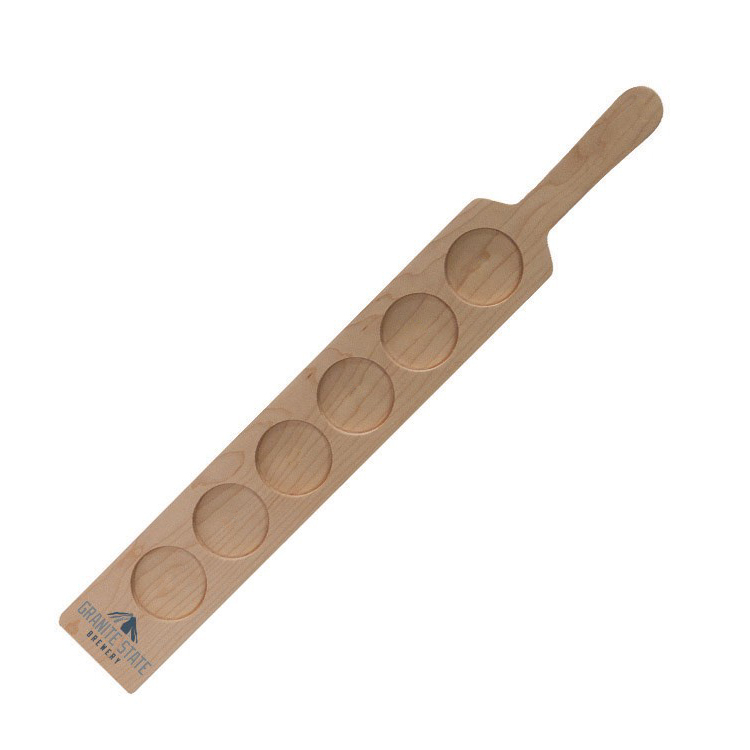 • Beverage sampler paddles made from solid oak for high durability in the work place. • 4 inserts with 1.875" diameter. • Finished with a protective clear coat. Other finishes available. • Custom shapes, sizes, finishes and holes configurations available. • Crisp, high definition imprinting available. *Glasses not included. 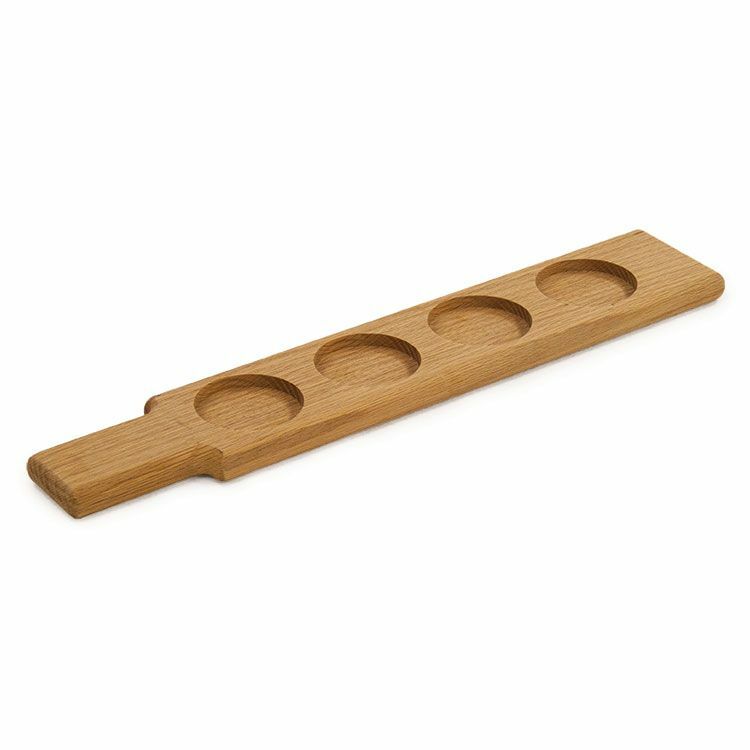 Our Sampler Paddle Beer Flight is made from solid oak for high durability in the work place – ideal for restaurants, pubs, promotional events and tastings. Specify your beer types with the chalkboard strip. Order them blank or add your own custom logo or artwork to further advertise your brand! Customization is endless! • 3 pockets with 1.75" - 2.5" diameter ranges • Standard finish is a protective clear coat – other finishes available • Crisp, high definition imprinting available Note: Glasses are not included. 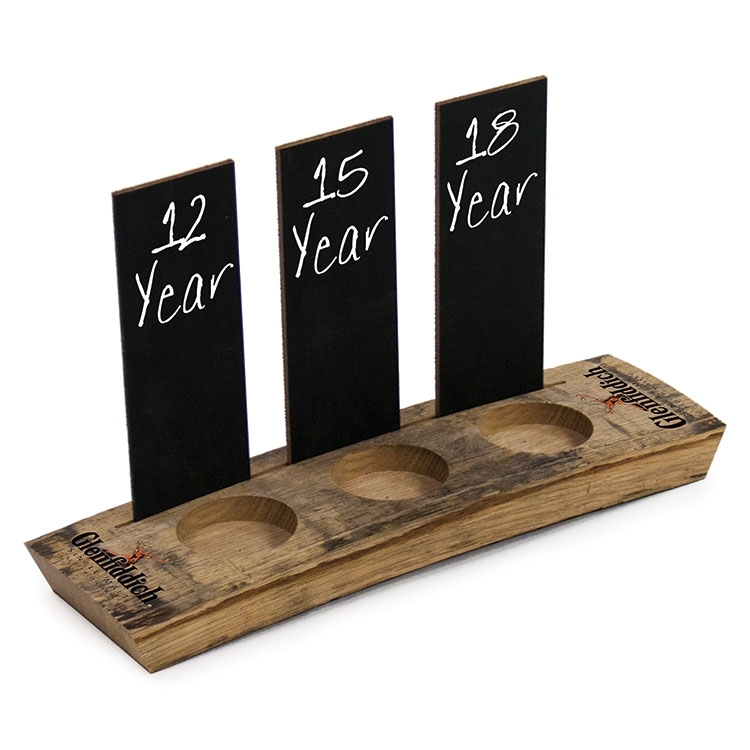 • Unique table display to use with any of our popular sampler paddles! • Use for promoting sampler specials table side. • Features 8.5"w x 11"h sign holder that inserts in the back side. • Available in 6 standard finishes. • Crisp, high definition imprinting available! 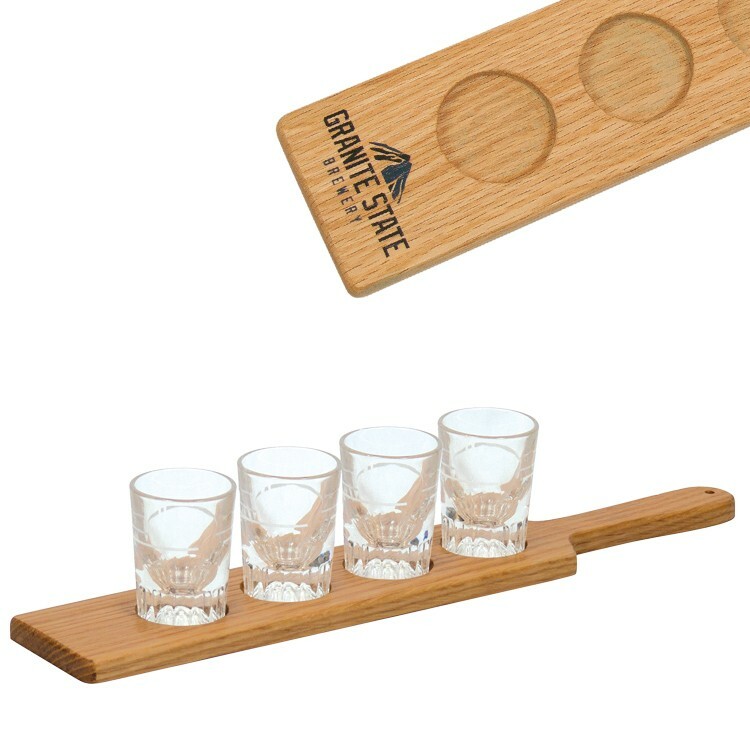 *Glasses & sampler paddle not included. Give your customers the gift of a unique experience and unforgettable presentation with fully customizable flight paddles. 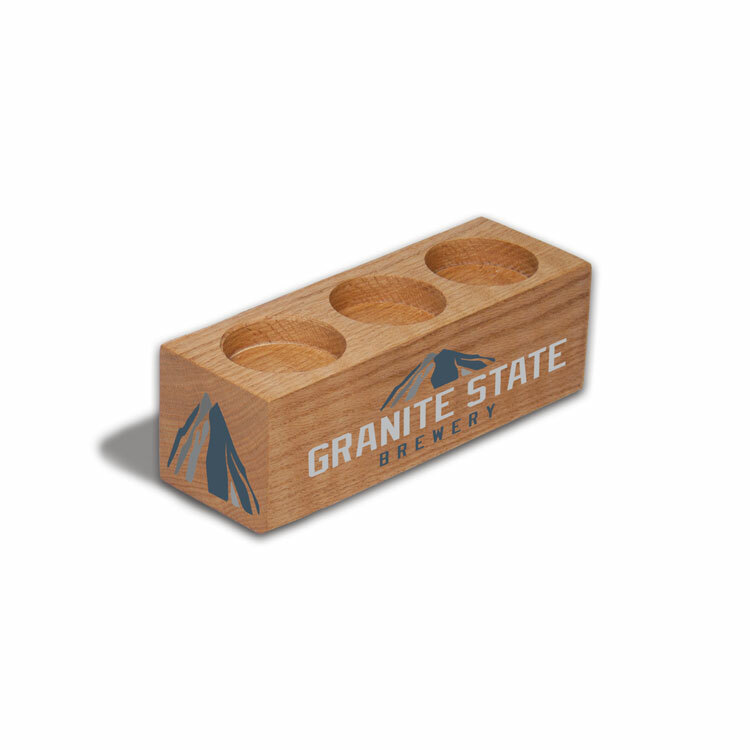 Why not promote your brand while serving your selection of drinks? Our handmade wood flight boards can be customized to fit your business's unique needs: choose from different wood species or barrel stave material. 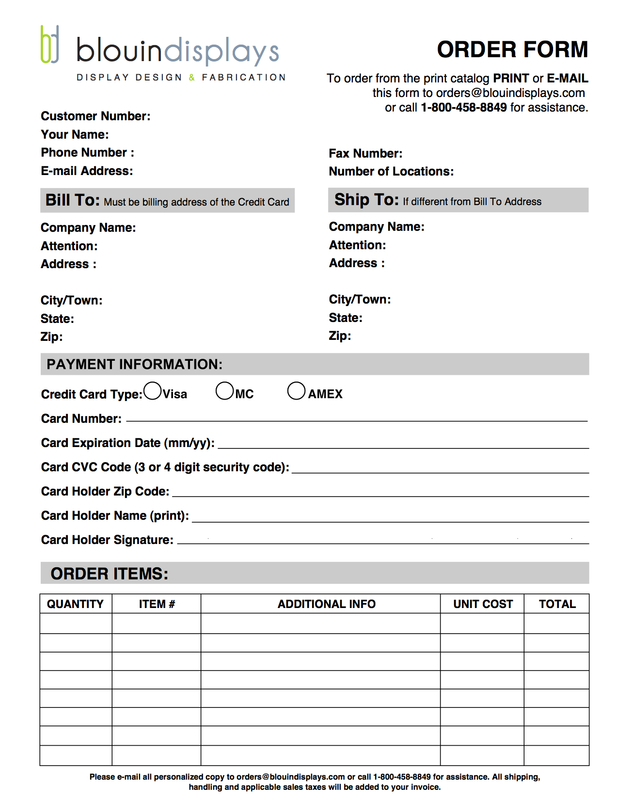 Specify your number or pockets and choose from 1.75” - 2.5” depths. Add a stain or color to make your paddle stand out. Solidify your brand with full color imprinting, logo imprinting or laser engraving. Optimized for high durability in the workplace, these versatile flights could be the perfect gift or solution for your business. Call today for details! • standard finish is a clear protective coat - other finishes available • choose between 1.75" - 2.5" diameter pockets • Made in the USA! 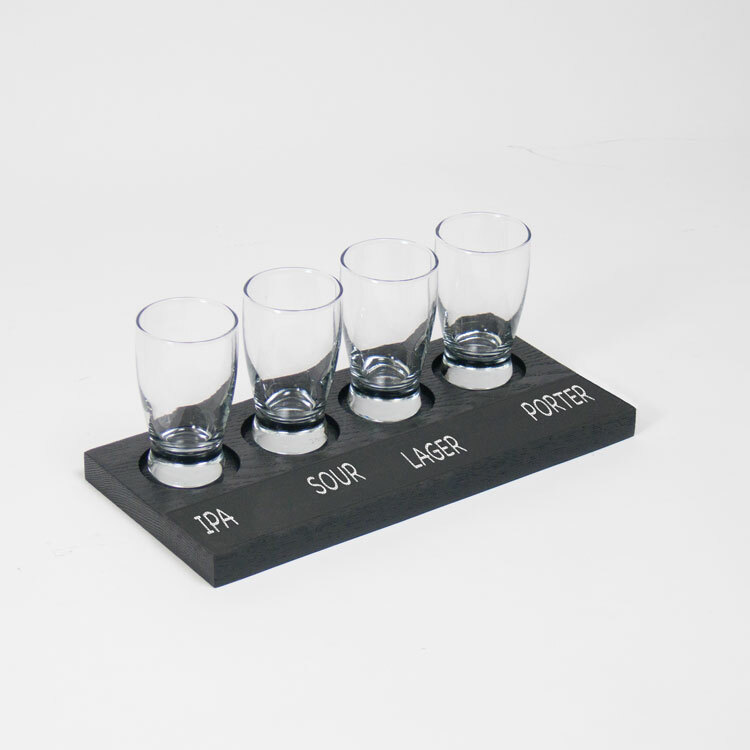 • Ideal for restaurants, pubs, promotional events and tastings. 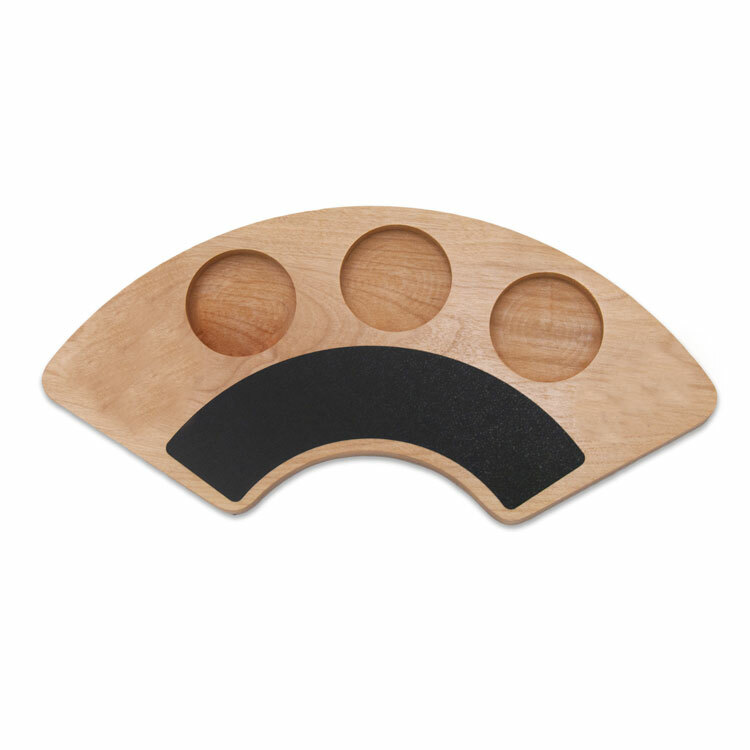 • Beverage sampler paddles made from solid oak for high durability in the work place. • 6 pockets with 1.75" - 2.5" diameters. • Finished with a protective clear coat. Other finishes available. • Custom shapes, sizes, finishes and holes configurations available. • Crisp, high definition imprinting available. *Glasses not included. 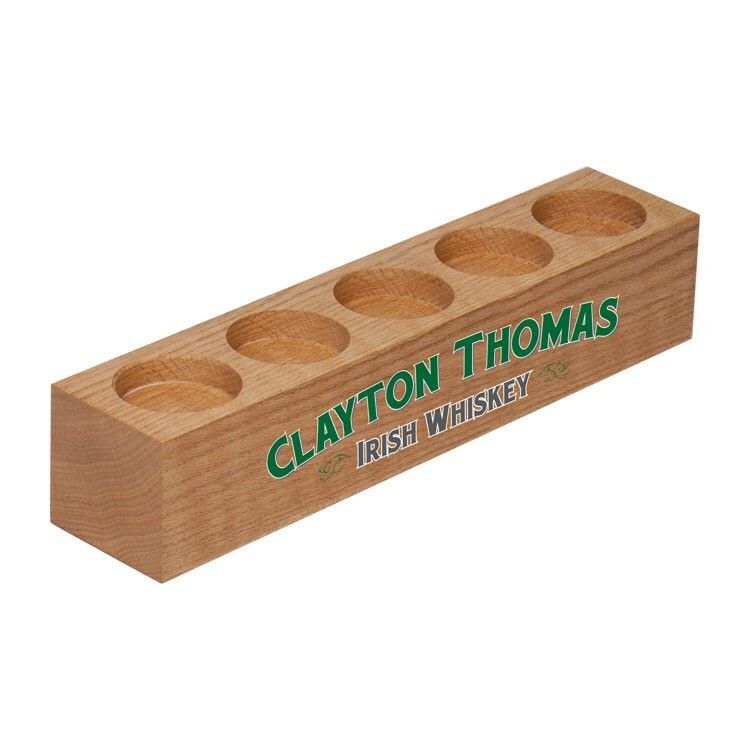 • Made from solid hardwood for high durability in the work place • 6 pockets with 1.75" - 2.5" diameter. • Available in 6 standard finishes • Crisp, high definition imprinting available * Glasses Not Included Note: We cannot guarantee liquid chalkboard pens will work with this product. 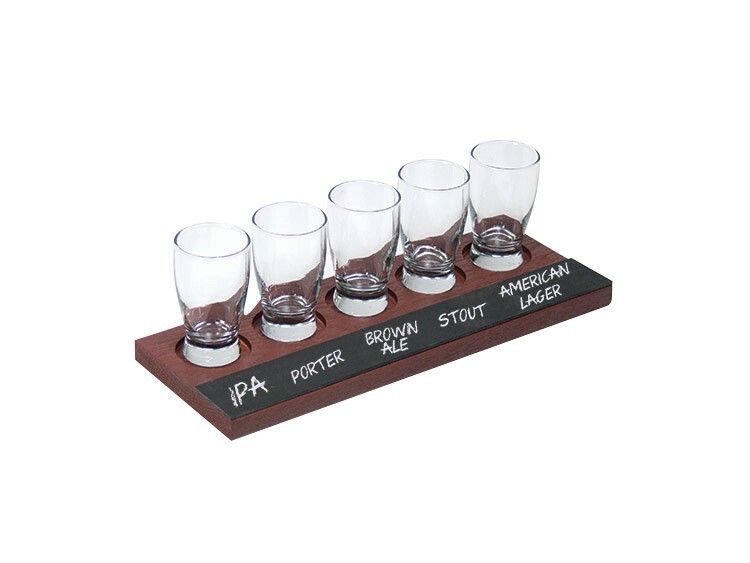 Our Sampler Block Beer Flight is made from solid oak for high durability in the work place – ideal for restaurants, pubs, promotional events and tastings. 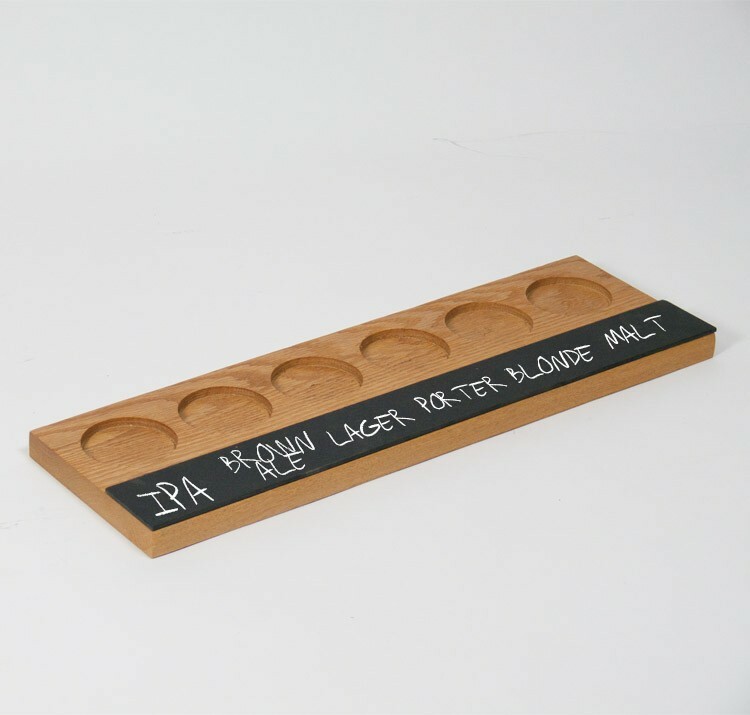 Use the chalkboard face to specify each beer type, or print your logo directly on the chalkboard vinyl! • 4 pockets with 1.75" - 2.5" diameters. • Standard finish is a protective clear coat – other finishes available • Crisp, high definition direct imprinting available Note: We cannot guarantee liquid chalkboard pens will work with this product. 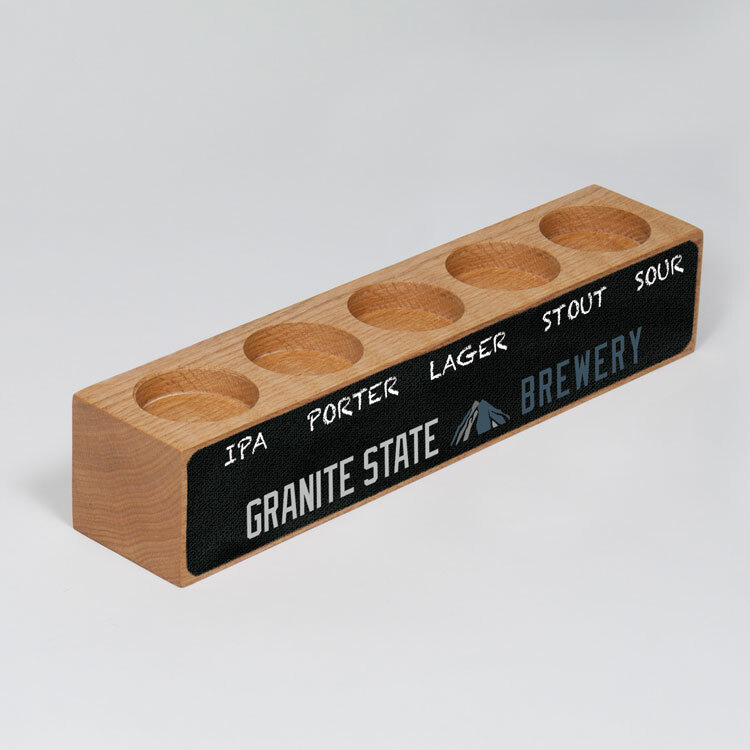 Our Sampler Block Beer Flight is made from solid oak for high durability in the work place – ideal for restaurants, pubs, promotional events and tastings. Order them blank or add your own custom logo or artwork to further advertise your brand! Customization is endless! • 3 pockets with 1.75" - 2.5" diameters. • Standard finish is a protective clear coat – other finishes available • Laser engraving also available - call today for details! Note: Glasses are not included. Our Sampler Block Beer Flight is made from solid oak for high durability in the work place – ideal for restaurants, pubs, promotional events and tastings. Order them blank or add your own custom logo or artwork to further advertise your brand! Customization is endless! • 5 pockets with 1.75" - 2.5" diameter • Features 2" chalkboard for labeling or custom imprinting • Available in 6 standard finishes • Crisp, high definition imprinting available Note: Glasses are not included. 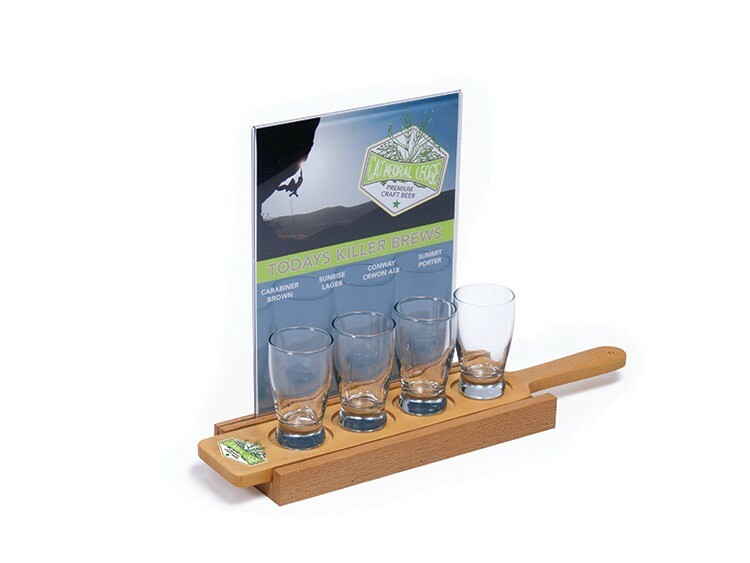 Our Sampler Paddle Beer Flight is made from solid oak for high durability in the work place – ideal for restaurants, pubs, promotional events and tastings. 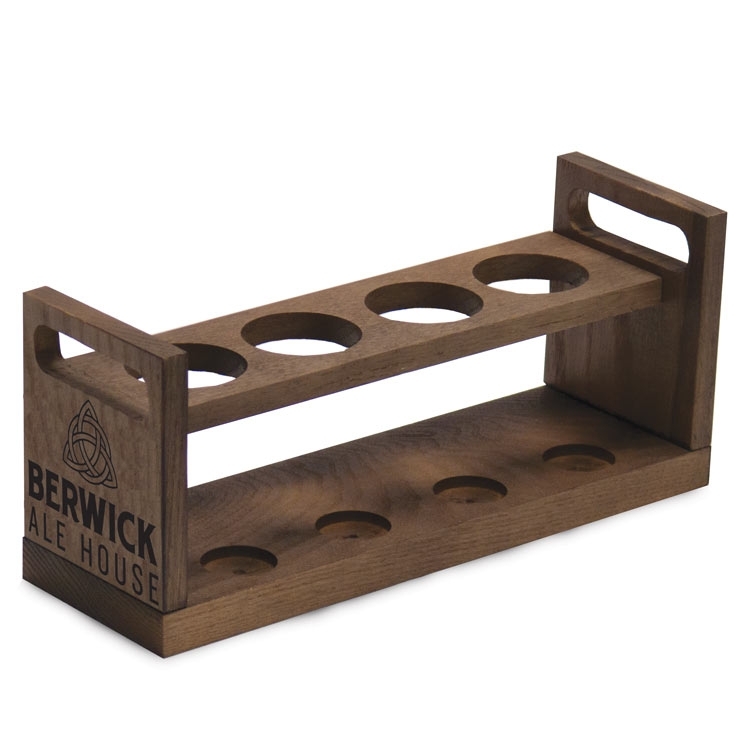 • Ideal for restaurants, pubs, promotional events and tastings. 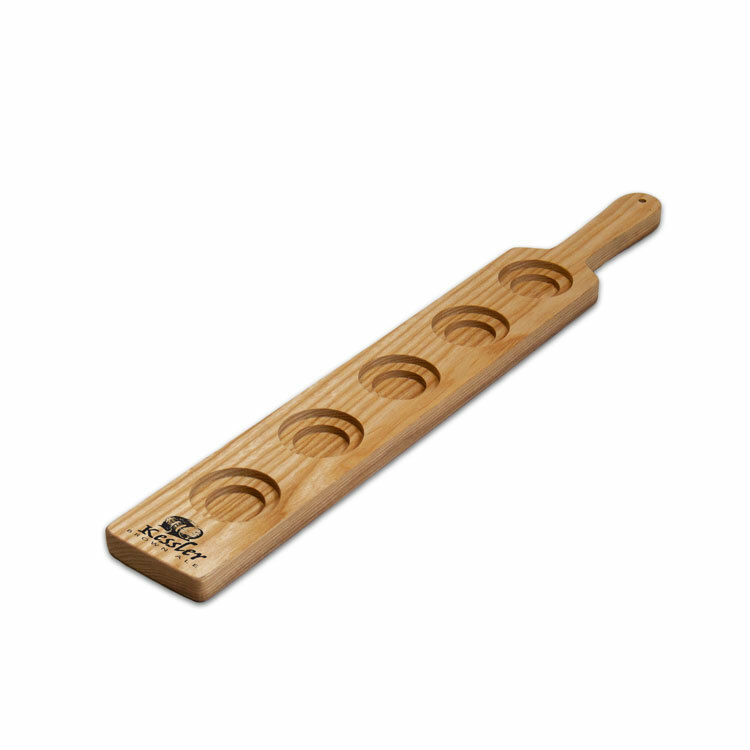 • Beverage sampler paddles made from solid oak for high durability in the work place. • 5 pockets with 1.75" - 2.5" diameter. • Finished with a protective clear coat. Other finishes available. • Custom shapes, sizes, finishes and holes configurations available. • Crisp, high definition imprinting available. *Glasses not included. 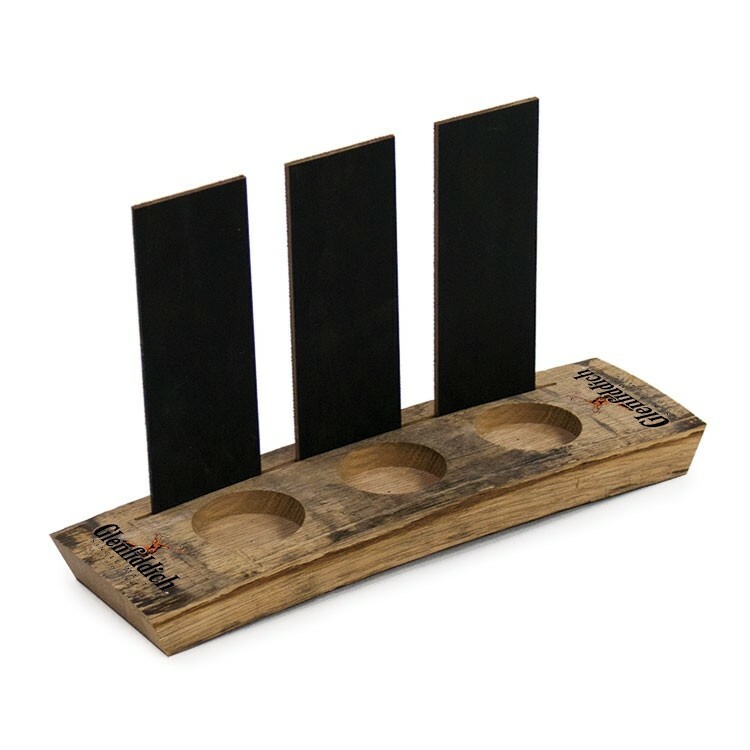 • Made from solid hardwood for high durability in the work place • Features 2" chalkboard for labeling or custom imprinting • 6 pockets with 1.75" - 2.5" diameter. • Available in 6 standard finishes • Crisp, high definition imprinting available * Glasses Not Included Note: We cannot guarantee liquid chalkboard pens will work with this product.